For many musicians, the cost of paying a professional sound engineer to record and produce a demo CD or demo tracks for an online talent profile Star Now Lets Acting & Music Talent Find Great Job Auditions Star Now Lets Acting & Music Talent Find Great Job Auditions If you're an actor or musician of some sort you've probably wondered more than a few times how you can easily find out about all the good gigs. I'll bet you've also wished there was... Read More is just too high. A much more affordable option is to learn a little about music production and recording techniques 7 Free Resources to Learn About Sound Engineering 7 Free Resources to Learn About Sound Engineering Here's a handful of great resources for you to use if you want to learn more about how to make great music recordings. Read More yourself and use your favorite tools on your computer to record your own music. For some musicians, the process of recording yourself is a learning exercise, designed to let you know precisely what you sound like so you can improve your performance. But whatever your reason for recording yourself, it’s good to know a handful of decent techniques for the best free software available – and that software is Audacity. Before you start recording, make sure you get the latest version of Audacity. Currently, it’s version 2.0.0 released in March 2012. 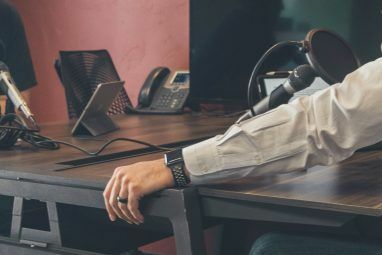 Before you make an audio recording, make sure you have researched a little about the best methods to record your instruments, including microphone placement and the best microphones to use. You may also wish to upgrade your sound card 4 Hardware Upgrades For Battlefield 3 Fans [Gaming] 4 Hardware Upgrades For Battlefield 3 Fans [Gaming] Battlefield 3 has finally been released, bringing a first-class shooting experience back to PC games. While consoles have received the game as well, for PC gamers it was a particularly notable release, as the game... Read More before you start recording. Finally, check your preferences in Audacity to ensure you are recording with the best quality possible. In Audacity, recording voice or another instrument with a microphone is as simple as ensuring the microphone input is correct, pressing record and later pressing stop. This will record a single channel which shows as a wave form and can be edited individually. Previously recorded backing instrumentation in most file formats can also be imported to Audacity (although you may wish to check the legalities of using them). The imported track will also have its own individual channel within Audacity. It is possible to record multiple channels at once in Audacity if you have the right gear and software to do so. For most amateurs though, this is just not feasible. Therefore, the simplest way to record multiple tracks is to do so one by one. Start by importing a previously recorded track (or recording the whole band playing at once) which can be used to keep you all in time. 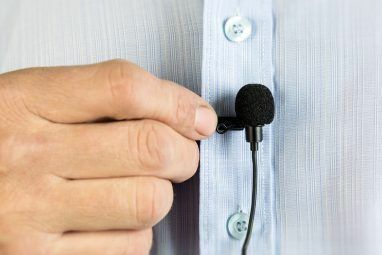 Then record each instrument individually, ensuring the person playing has headphones, so they can hear the original track, but that it is not picked up by the microphones. In Audacity, ensure the “Overdub” selection is checked so that new tracks are generated. 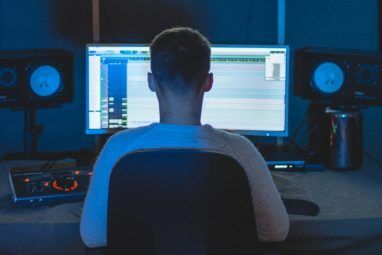 If a section of the recording is not quite right, it can be deleted from the track by highlighting and choosing Remove Audio > Silence Audio or Clip Boundaries > Split New. Don’t delete it or cut it as that will join the sections either side together and make the music out of time. A new track can be recorded to replace that section, starting just before the deleted part by clicking on the timeline bar. When all the individual channels are recorded you can mute the original scratch recording (but don’t delete it – just in case). Play the rest of the channels together and move them around a tiny bit if there is any lag. Do this by clicking and holding, then moving left and right in the timeline. To use sound production effects in Audacity, simply highlight the section of the channel in which you want the effect, then go to the effects menu and apply it. If you’re new to using effects, make back-ups of your Audacity file before applying them so that you can compare the sound and revert easily if need be. Also, duplicate channels or section of channels before applying effects, so that you always have your original sound. Use the Amplify effect to adjust the volume of a section of a channel. For instance, to make the vocals louder against the instruments. You can also use the Fade In/Out effect to create smooth transitions. Normalizing the sound will make it as loud as possible without distorting it. Pitch can be changed without affecting the tempo. However, most people would advise using this feature sparingly. Effects such as Reverb, Phase, Wahwah and filters are best tried and tested by you, as it’s difficult to imagine how it will sound before you try it. Just remember to keep your original channels as you can use them to apply different volume levels to the original and the effect. Equalization is more difficult to apply as when you click on the line you will see a node which can be pulled in many directions to reduce the bass frequency and increase the high frequencies. What this does is adjust the tone and make the sound clearer, however when it comes to actually applying the effect you will just have to try it and see how it sounds. Use Panning to move the audio from one speaker to another. You’ll find the Panning slider next to the volume for each channel. 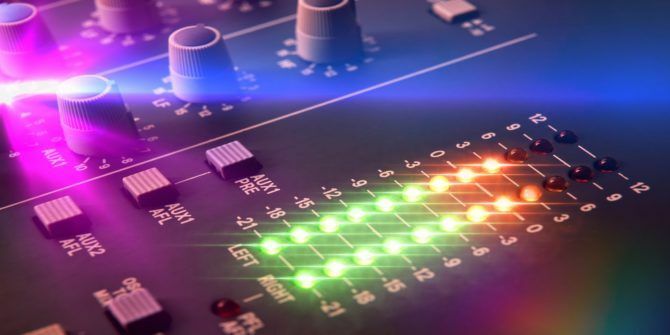 When your sound production is sounding complete, you can add a final compression effect to your music in order to lessen the volume difference in your music. Audacity has many available plug-ins to achieve specific effects, like reverb and auto-tuning. To install plug-ins or work with other tools, install the Audacity VST Enabler first. When saving, you save the Audacity file itself, with all of the multiple channels represented for tweaking later. If you want to give the music to someone else or to upload it, you’ll need to export the Audacity file as another format, such as MP3. What’s your best tip for recording and producing vocals using Audacity? Explore more about: Audacity, Audio Editor, Record Audio. This is something that my son wants to start doing. He's been getting really good on his guitar has been trying to record stuff on the home computer. I've been trying to find inexpensive equipment and software to let him use because I don't know if he'll keep it up or not. I sure hope so though, I wish I would have. This is so easy to use and commonly use in cross platform. Nice for newbie like me. can anyone explain a cheap way to get started like cheapest mics or what ever else i would need to record guitar and vocals. For vocals especially, you really need to hear the microphone to make sure it's a good one. There are some brands which are generally considered okay by many singers, so if you really had to you could take a chance on a cheap one in that brand. But your best bet is to go into a music store and try some out, then pick what you can afford from the good ones. Otherwise you'll just end up with something awful. I'll pass this idea along to the iPad fans writing here and see if anyone wants to write about it. Thanks! We need a downloadable MakeUseOf Guide of Audacity. That might be a good idea. Thanks!! A lot of people will actually say stuff like that, that "this and that is obviously the best DAW", but anyone who has actual music production experience (*raises hand*) knows that this is just not true. Having Logic of Pro Tools will not make you a better musician/producer. You will just have spent a ton of money on software. If you don't know microphone and recording technique, don't have good microphones, don't know about filters and proper equalizing and don't know how to properly place different tracks (just to name a few things), your tracks are going to sound horrible whether you create them in Audacity or Pro Tools. They will sound almost identical. Yes, Pro Tools and Logic are really good, but if you're used to something like FL Studio or REAPER, you have no reason to get other software. It's just as good and a lot less expensive. Saves money so you can get actual studio hardware. I think you're right. Until you're very, very good it won't make a huge difference. It might even make the end result worse because of the sheer amount of features advanced DAWs have if you don't know how they work. I'll pass on the idea to the other writers and see if anyone is keen to write that. Thanks!